The city has a Christmas tree lighting ceremony which includes the Fort Mill High School Choir singing Christmas songs, Santa arrives on a fire truck, hot chocolate, 100 dozen cookies are served and there is a gingerbread house judging contest. 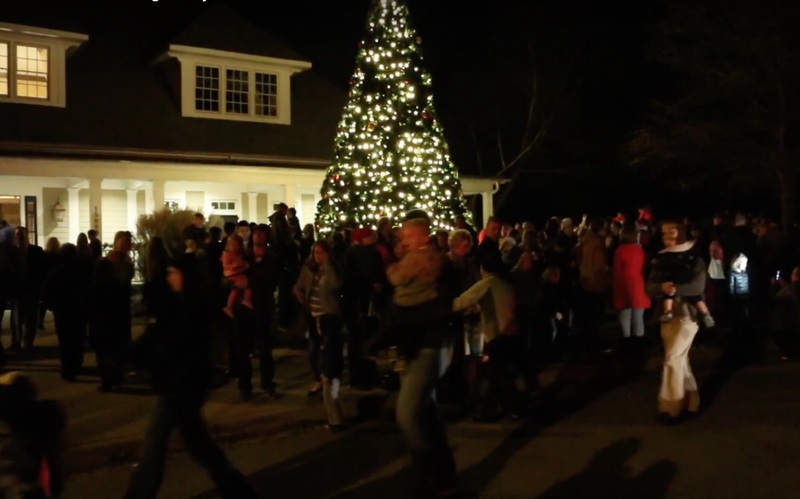 This year’s City of Tega Cay Holiday Tree Lighting will be held on Saturday, December 3rd, 2016. The event is 6:00 PM – 7:00 PM at the Tega Cay Golf and Conference Center, 15083 Molokai Drive Tega Cay, SC 29708. Watch the Talk of the Town video to see what happens at the event each year.